For us a bicycle is the optimal way to get around in a city! You get to know the city in a whole new way, and the city becomes easier to grasp. 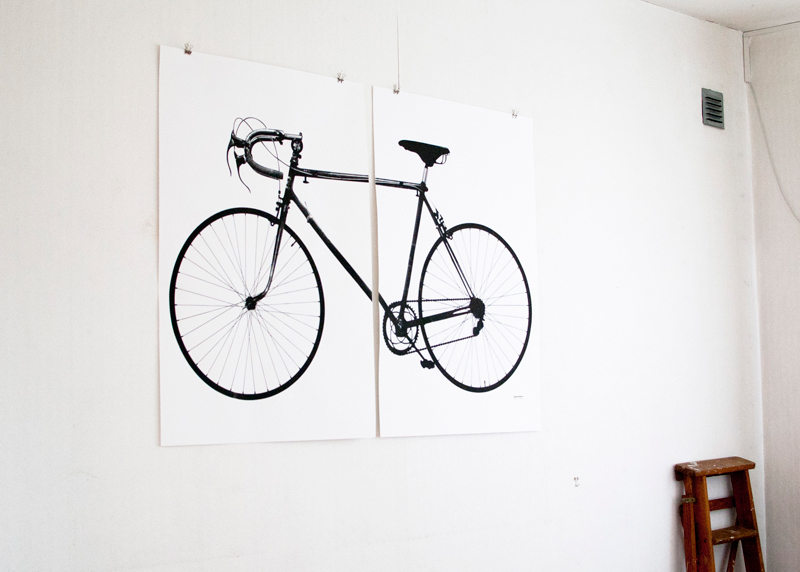 The idea with this poster is to give the impression of having a real bike on the wall, therefore we wanted to print as close to natural size as possible. Our solution was to split the motif on two 70x100cm sheets. We wanted to start from a classic racing bike, which for us feels a little like an icon for cycling. 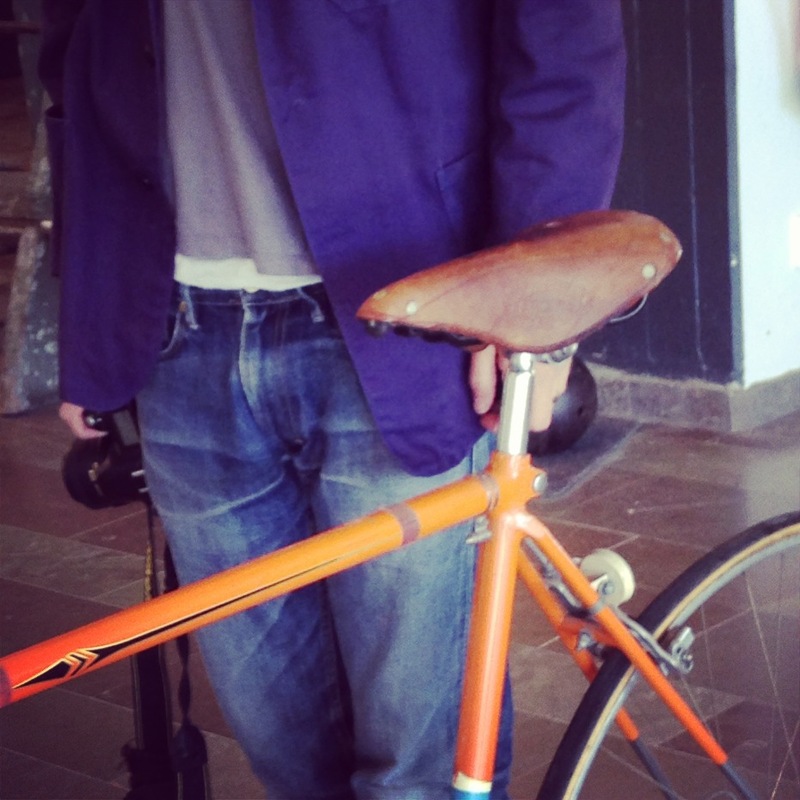 By a lucky chance there was a bike exhibition in our hometown of Malmö. We went there on the last day and snapped some pictures for inspiration. Immediately we felt that Harry Snell’s old worn Crescent would be perfect. One of the reasons was that Harry won the amatuer race in Valkenburg 1948 and after that Crescent was branded as the World Champion Bike for years, and the other that it simply had the right feeling. But the pictures had a noisy background, so we had to spend many hours at the computer to create a nice bike silhouette. 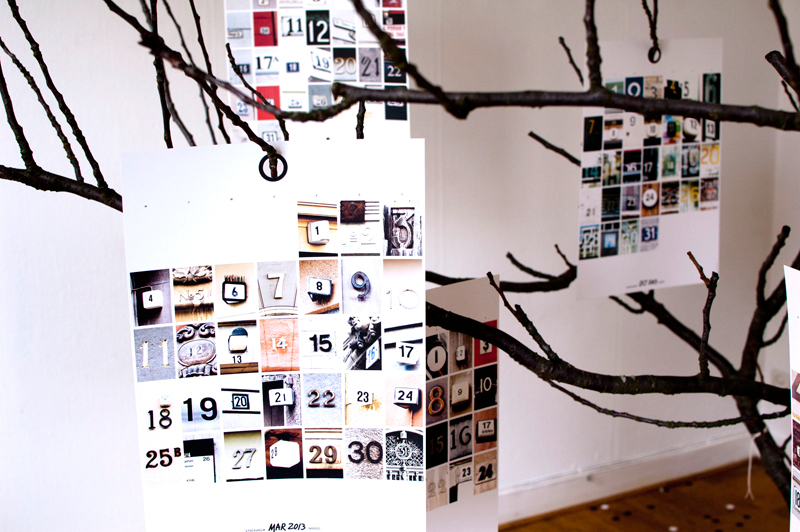 It was also the first time we screen printed a large format poster and we made many trials before we got it the way we wanted it. But now both of us absolutely agree that it was worth all the hard work! The bike can demonstrate an active and healthy lifestyle (or the dream of it) . It can stand for freedom and taking responsibility for our world’s future through a minimal environmental impact. The photographer and the bike. 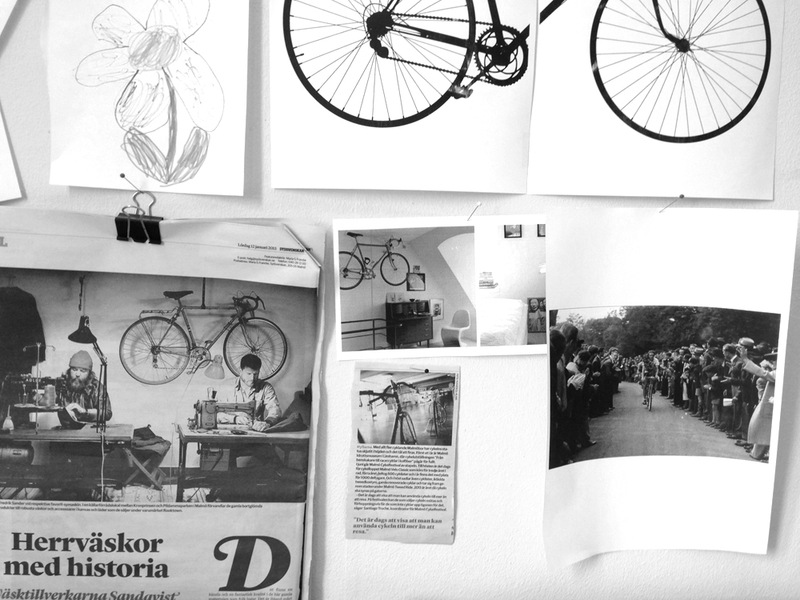 There is something very aesthetical with bicycles, graceful and subtle at the same time, and graphical! Many of you seem to have enjoyed our effort and the edition of Världsmästarcykeln XL is sold out. 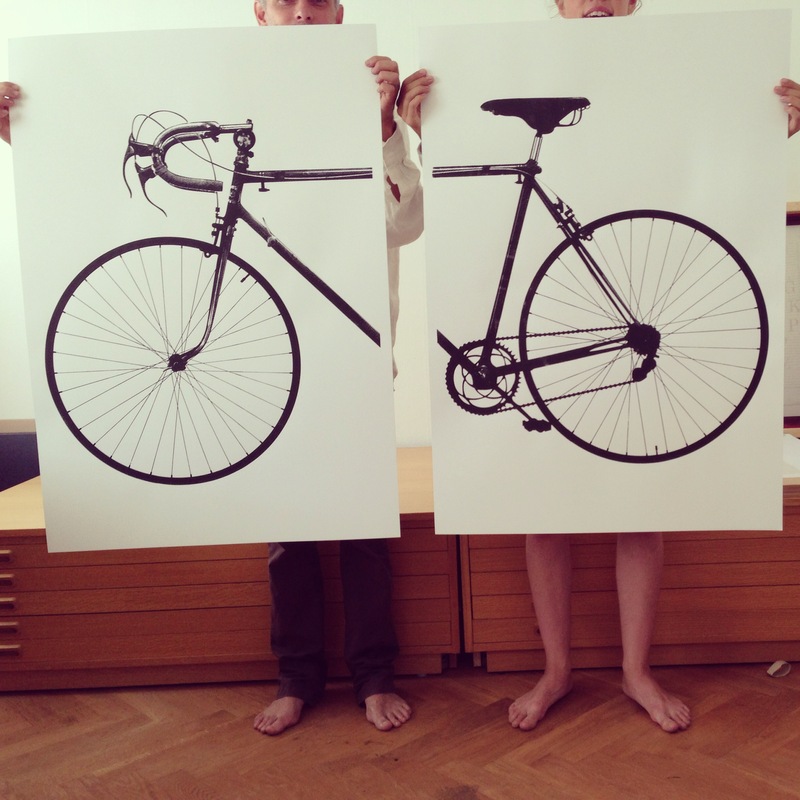 We have now a new bike print called Ride, read more about it here or have a look in the jollygood shop!